The ART-ivity team from Lap-Chee College is organizing a Pumpkin Carving workshop. Knives and pumpkins will be provided for people who signed up before the deadline. If you miss the sign up deadline, don’t worry, you are still welcome to join. You will just have to BYOP (Bring Your Own Pumpkin). If Carving is not your thing, how about preparing a pumpkin feast? 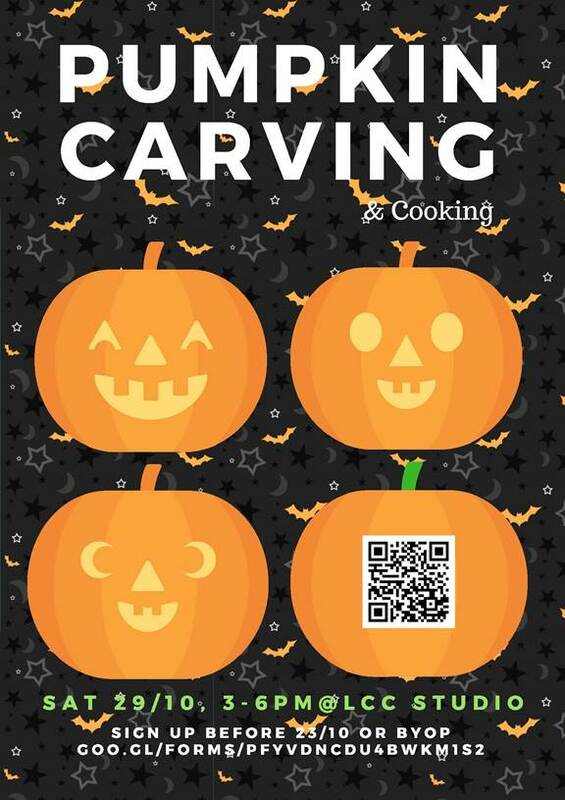 Cooking guru are more than welcome to show off your master chef skills by preparing a pumpkin meal with the side products of the carving workshop. We can then share the feast together as a celebration! Just indicate your interest in the sign up form.